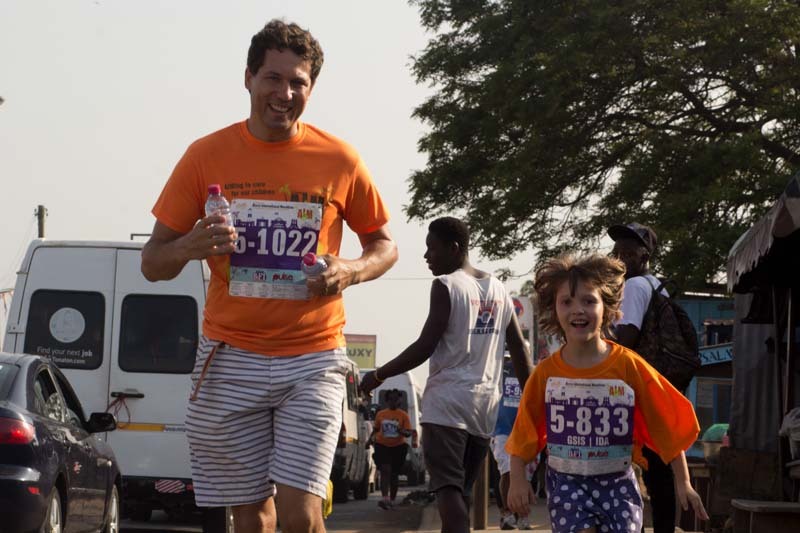 Please come run or walk with the people generally described as amongst the friendliest in the world as we take bold steps to save our own lives. 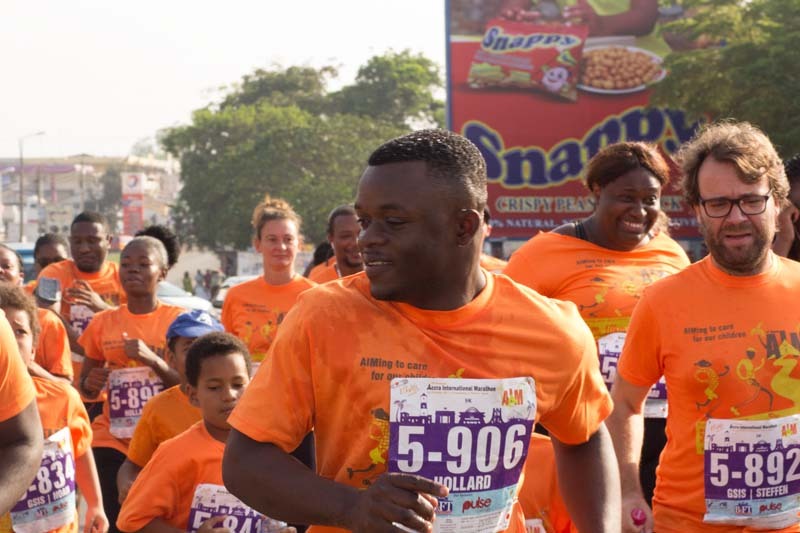 Dedicated healthcare and medical personnel will be on hand to perform free health screening, including vision and dental checks, and to provide advice on exercise, diet and nutrition. 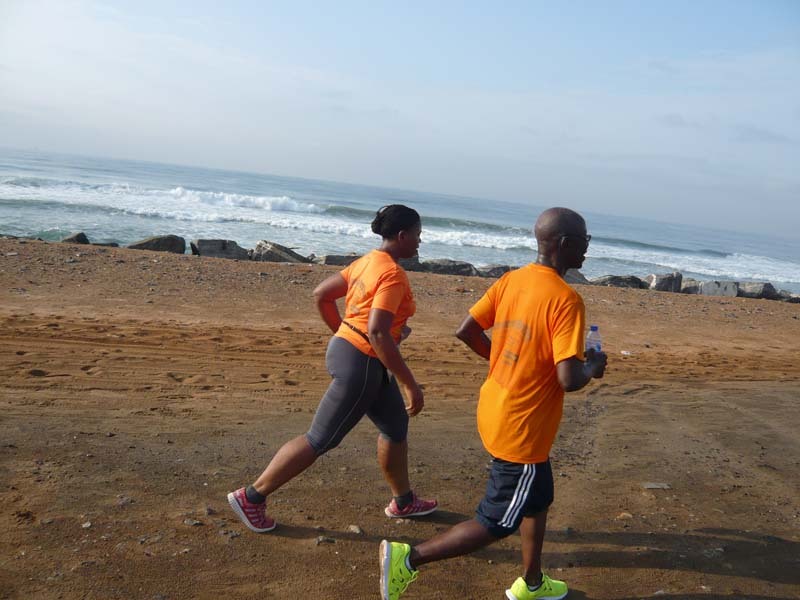 Participants will also enjoy free massages from trained physio- and massage therapists. 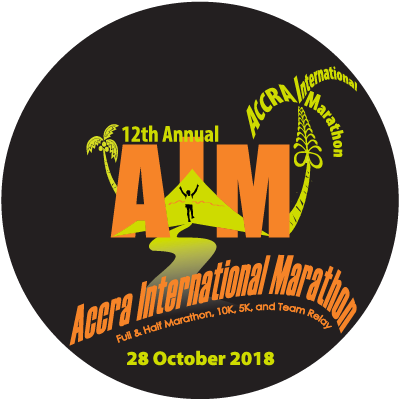 Starting from the unspoiled scenic beach town of Prampram through the port city of Tema and ending at the popular La Pleasure Beach in Accra 26 miles away, the Accra International Marathon (AIM) has great potential to truly develop into the “beach to beach” marathon of Ghana’s capital city. 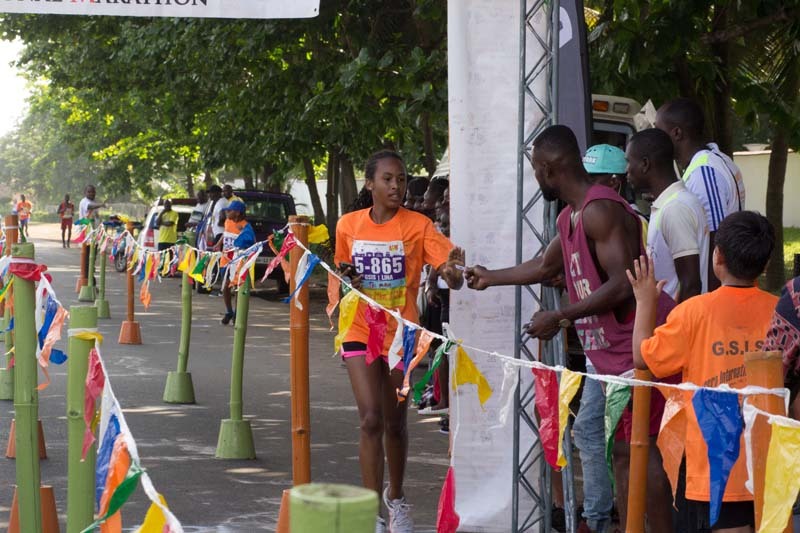 The vision of AIM is to attract national and international participants to a world-class marathon running and walking event in the nation’s capital and to be a fundraising vehicle in support of The Longevity Project (the Project). 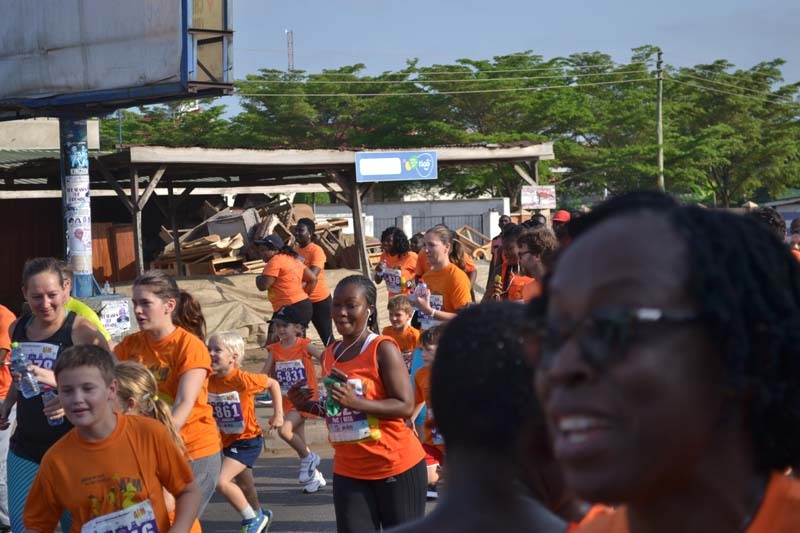 The mission of the Project is to increase the life expectancy and quality of life of Ghanaians. The prevailing life expectancy is approximately 58 years. 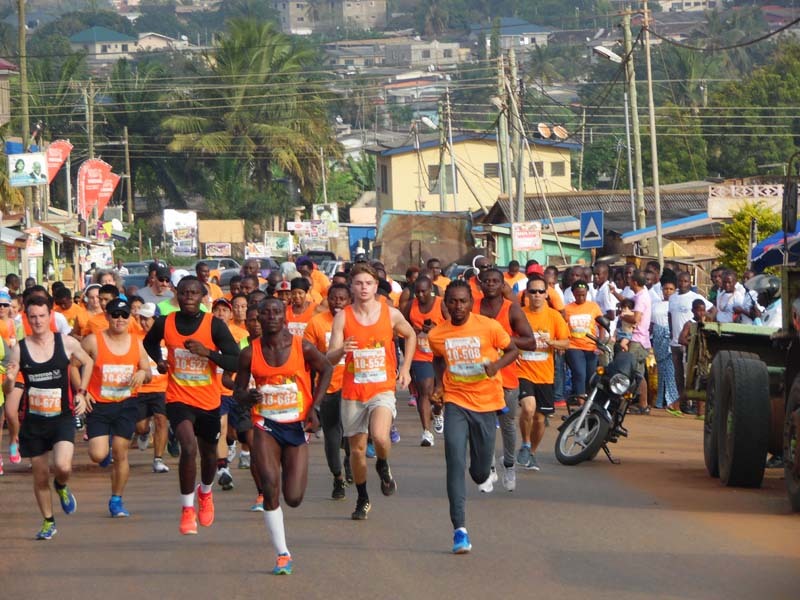 In appreciation for all you contribute to society, Peace Corps Volunteers, Japanese Overseas Cooperation Volunteers, and similar volunteers based in Africa receive a special discount to register in the marathon, half marathon, 10K, or 4-member team relay. Volunteers taking advantage of the discount must show their qualifying volunteer ID during race packet pickup. Those designating someone else to pick up their packets can email us a scanned copy of their qualifying ID or send a photocopy with their designee (the photocopy will be simply examined and returned to the designee). The following information is subject to change. 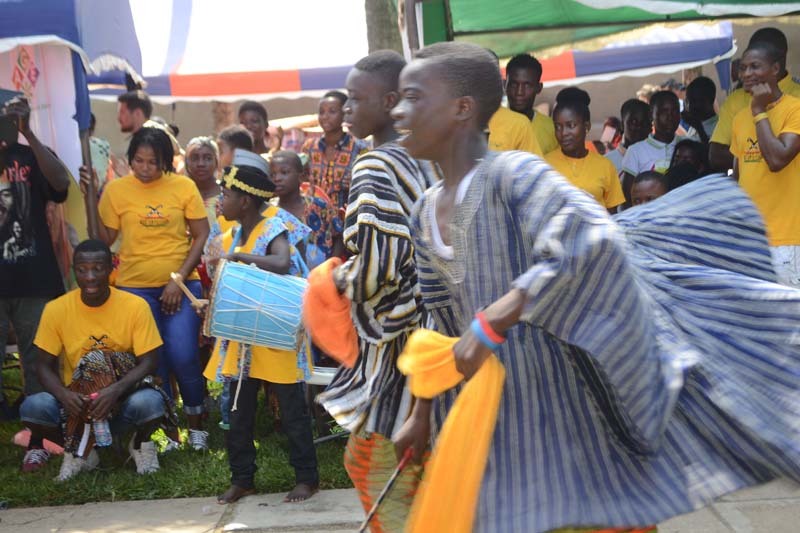 Please be sure to check www.aimghana.com for updates and changes. Race packet distribution will begin approximately one week before Race Day. 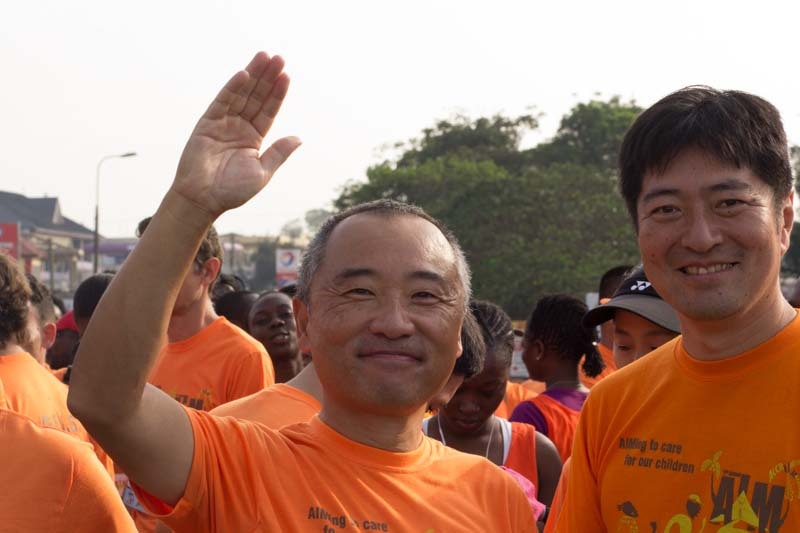 Times and locations will be announced on www.AIMghana.com. 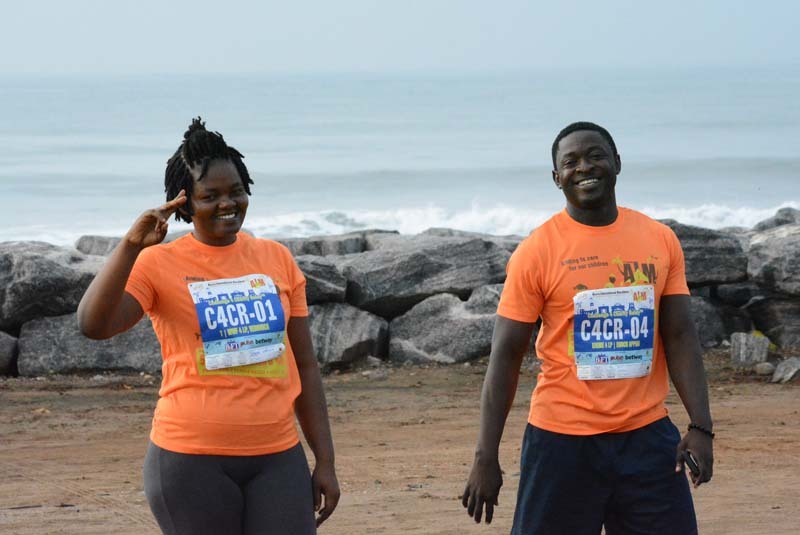 The last day of race packet pickup is Saturday, 27 October from 9am-5pm at the Labadi Beach Hotel. Please bring your bank deposit receipt (not applicable to those who registered with a credit card on active.com). If you would like someone else to pick up your packet for you, simply drop us an email letting us know who will pick up for you and ask that person to bring an ID with them. Race packets will not be available on race day.